The sky was a painting tonight. This is it. 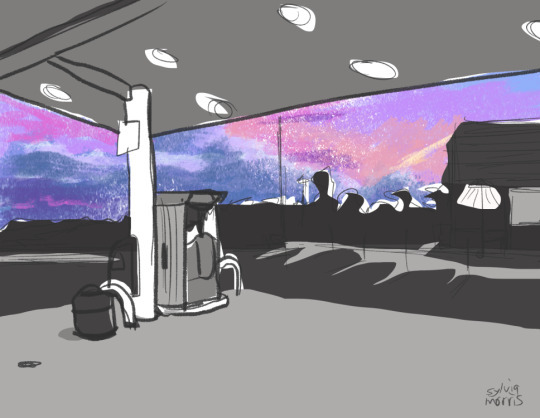 Sky pictures taken at gas stations are my aesthetic. I hope you don’t mind. I really liked it so I wanted to do a quick sketch. I know this blog has been a little quiet lately, other than the HP art. I’m trying to find a balance between study and creation. They obviously feed into each other, (the HP project has given me architecture/perspective skills I could only have dreamed of a few months ago) but sometimes you need dedicated practise time. So I’m spending my evenings, at present, focussing on different skills: observation, anatomy/figure/clothing, composition, etc. Generally the output isn’t something I particularly want to post, but I also like to post things so I can remind myself that I did them. So all that to say: here are some bits and pieces from September evenings.